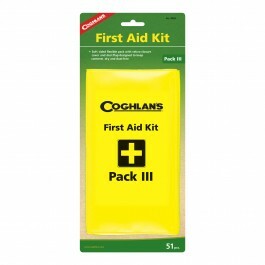 Coghlan’s Pack III First Aid Kit is a small compact first aid kits. This is a unique assembly of 51 carefully selected items. It has a soft, flexible case includes clear plastic dust covers and tie strings to ensure a dirt and dust resistant kit. Accidents can happen anywhere, why not be prepared wherever you are? 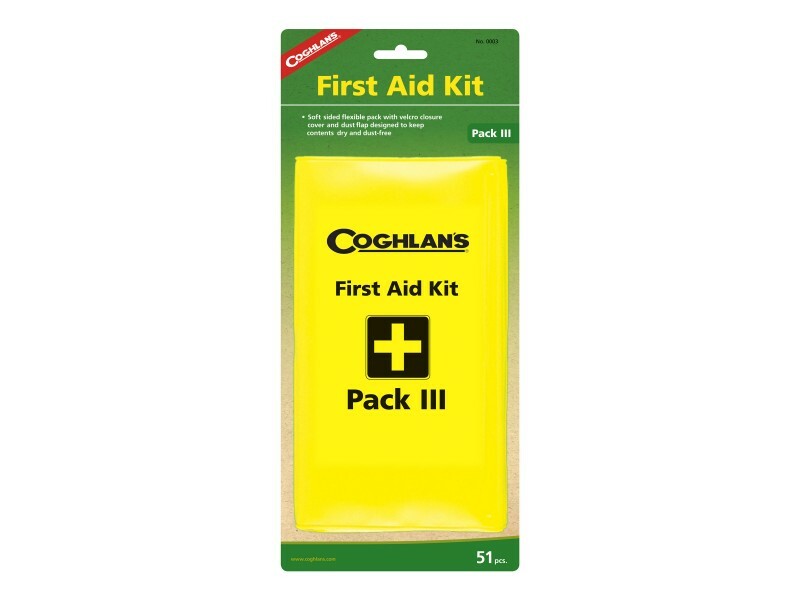 Carry a Coghlan’s Pack III First Aid Kit in your purse, car, book bag, RV, shed, garage, briefcase, kitchen or even a preppers bag.